The state Liquor and Cannabis Board's September announcement of impending pesticide inspections for the state's cannabis producers and processors likely sent nervous wrongdoers scrambling to hide their spray bottles. 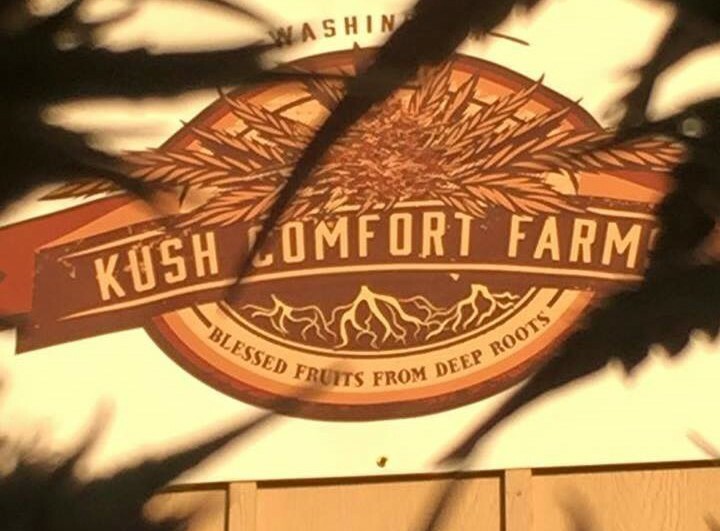 Not so at Kush Comfort Farms. "We're using a much more naturalist approach," says co-owner Josh Zaretsky. "On one side it's sort of very boutique and uncommon, but on another side, using [fertilizers] like kelp meal or alfalfa meal are things that have been done for thousands of years, and it's actually the other method which is sort of a modern aberration." Zaretsky, 34, and business partner Daniel Harrington, 33, founded Kush Comfort Farms on a shared ethic that champions conscious, organic and sustainable practices. Where many of their industry peers cut corners, Zaretsky and Harrington have deliberately taken the long view. "I want to do right for the Earth, do right for my children and do right for the future," says Harrington. This selfless Weltanschauung infuses every aspect of their operation. "The way we're doing it evinces great respect for the community and the plant," adds Zaretsky. Their reverence for cannabis is easy to ascertain. Harrington often imbues the plant with personhood, using she and her when he speaks about it. It's a position of deference and affection that reveals the core of the duo's farming philosophy — one of symbiotic collaboration with, rather than the synthetic taming of, Mother Nature. "We're farmers and gardeners," says Harrington humbly. "We work with the sun." Harrington stresses the importance of building a "custom, local strain-based" identity that is an honest product of the bioregion and their property's microclimate, a unique terroir of sorts, he says. Their Royal Slick, a new trichome-laden phenotype of Royal Kush, is just that: a local descendant of an infamous Mendocino strain, inextricably linked to both Kush Comfort Farms' ponderosa-pocked setting in the scablands west of Palisades Park and the compassionate cultivation ethos of its stewards.